Monday 8 May 2017: Edinburgh has outranked Glasgow to be named as one of the most ‘digitally safe’ cities in the UK, behind only Liverpool, according to a new study from Barclays which has scored the nation’s susceptibility to online scams and fraud. Launched today, the Barclays Digital Safety Index score is based on the ability of 6,000 UK adults to protect data, devices, accounts, and to spot digital threats. Respondents in Edinburgh and Glasgow were asked to complete a digital safety test − similar to the hazard perception tests encountered by people taking driving theory exams − and answer questions about the steps they take to protect their devices from online threats. On average, people from Edinburgh scored 6.25 in the test, lower than the national average score of 6.27, but higher than Glasgow which scored 6.05. With scores ranging from 1-10, (10 being the maximum safety score), there is plenty Scots could be doing to improve their digital safety. In Edinburgh, 12% of respondents had experienced bank account fraud, one in ten had been a victim of a purchase scam and just under 10% had fallen foul of a safe account scam where fraudsters claiming to be from their bank call and advise them to move their cash because of an issue with their account. In Glasgow, bank account fraud again topped the poll with more than one in ten people affected. 11% of respondents had experienced scams in relation to an online shopping account while 10% has been targeted through payment accounts. Overall, city dwellers are more at risk of cybercrime than those living in the country, 20% of rural residents claim to have experienced an online scam or fraud in the past three years, compared with a UK average of 25%. Behaviour also plays a key role. Rural dwellers in general show more awareness and caution in how they behave online, scoring more highly in our Digital Safety Index as well – averaging a 6.49 score compared with city average score of 6.02. Across the UK as a whole, digital familiarity may be fueling online complacency, with the survey also revealing a generational ‘digital safety gap’ between younger and older respondents. On average, people scored 6.27 in the test, but digital awareness scores for the oldest age bracket (over 65s) were some 25% higher than the youngest age group tested (18-24 year olds), putting to bed the notion that older people are more at risk of being “duped” by cyber criminals. Furthermore, only 17% of all respondents were able to score full marks in the question asking them to correctly identify digital safety hazards: from online pop-ups and games, spam or “phishing” emails and “smishing” texts or social media messages that trick users into sharing personal details or downloading malware that leave devices vulnerable to hackers. 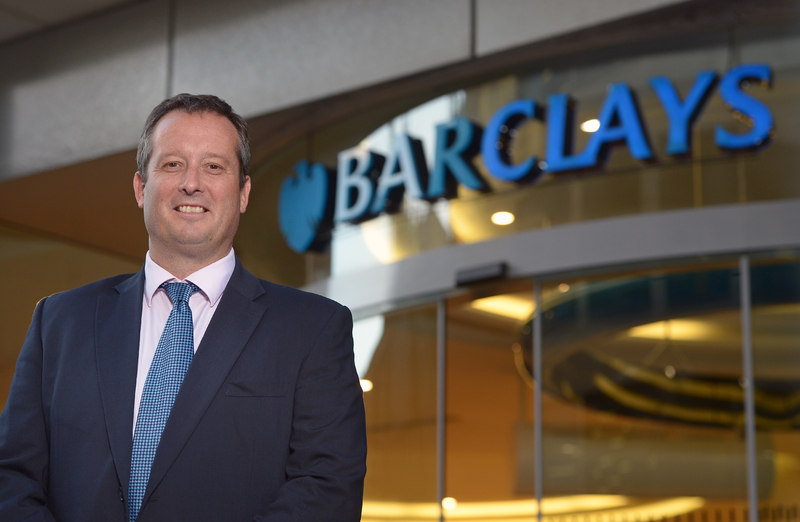 To encourage the nation to consider its own digital vulnerability, Barclays is calling for the public, police and businesses across the UK to unite and tackle this growing issue of public concern and has today launched a multi-million pound Digital Safety drive. “The Barclays Digital Safety Index identifies the UK’s most vulnerable to cybercrime for the first time. “With Scotland lagging behind in the Digital Safety Index and residents most commonly falling victim to bank account fraud, it’s evident that more needs to be done to improve awareness of both cybercrime and cybersecurity in this area. • In a UK high street bank first, Barclays is giving customers new levels of control over when, where and how their debit card works, offering customers the choice to instantly turn ‘on’ and ‘off’ whether their card can be used to make remote purchases, and even set their own daily ATM withdrawal limits on their Barclays Mobile Banking app. • A new online quiz is available to everyone in the UK from today. By answering simple questions people can assess their own digital safety level, and receive useful tips on how to strengthen their defences at barclays.co.uk/security. Barclays aims to help at least 3 million people to boost their digital safety levels by using the test. • A new £10m national advertising campaign is being launched across national TV, print, online and billboards. It will alert people to the risk of fraud unless they take proper precautions, and will include content targeted towards younger people and those in urban areas. • Barclays will be hosting regular fraud awareness takeovers on its online and mobile banking sites, prioritising fraud prevention over products. • Barclays’ nationwide force of 17,000 Digital Eagles will provide digital safety teach-ins to people, and free support clinics for the 1 million UK SMEs we serve. Barclays LifeSkills is also launching new Digital Safety learning content specifically designed for younger people. • Barclays is also leading industry efforts to prevent instances where customers are duped into withdrawing all their cash from branches and handing it to a scammer posing as a trusted person, through a new police hotline for branch colleagues to call. Barclays estimates that if people implemented these three top tips we could help to cut levels of fraud by up to 75 per cent. 1. Never give out your full Online Banking PIN, Passcode or Password to anyone, even a caller claiming to be from the police or your bank. 2. Do not click on any link or open an attachment on any e-mail you receive which is unsolicited. 3. Avoid letting someone you do not know have access to your computer, especially remotely. To find out how digitally safe you are, take the new quiz at the Barclays Digital Safety Hub www.barclays.co.uk/security or simply search for “Barclays Digital Safety”.